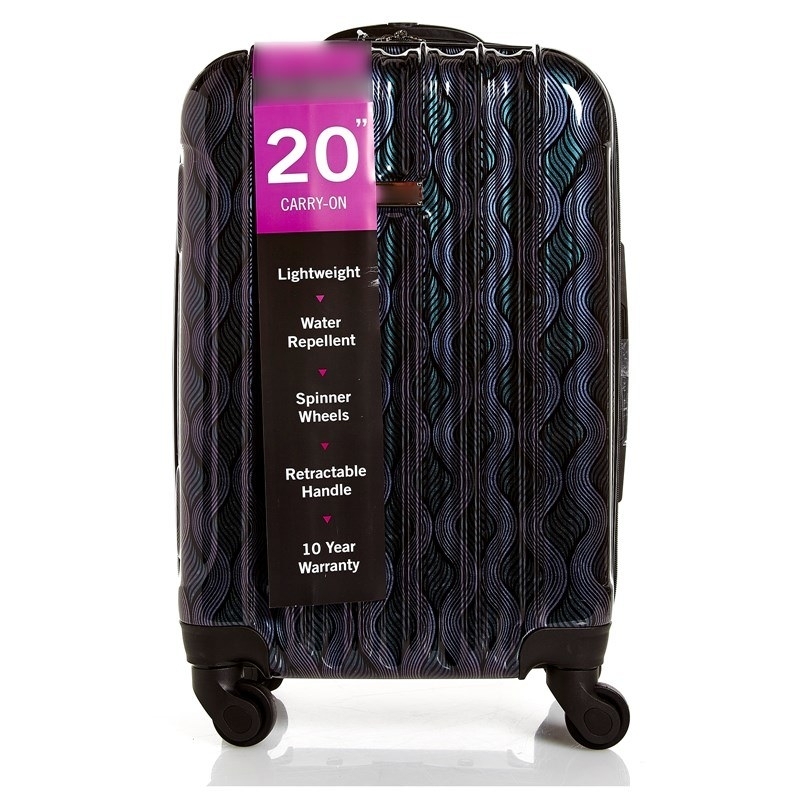 Get all the luggage you'll need to overpack for your next getaway. 1. 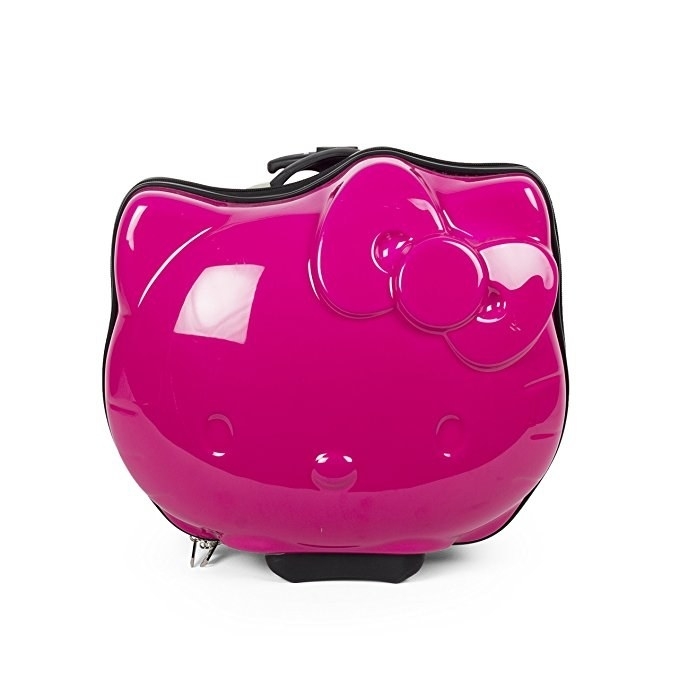 This adorable Hello Kitty bag that'll have you saying, "Goodbye winter, hello vacay!" Get it on Amazon for $44.99. 2. 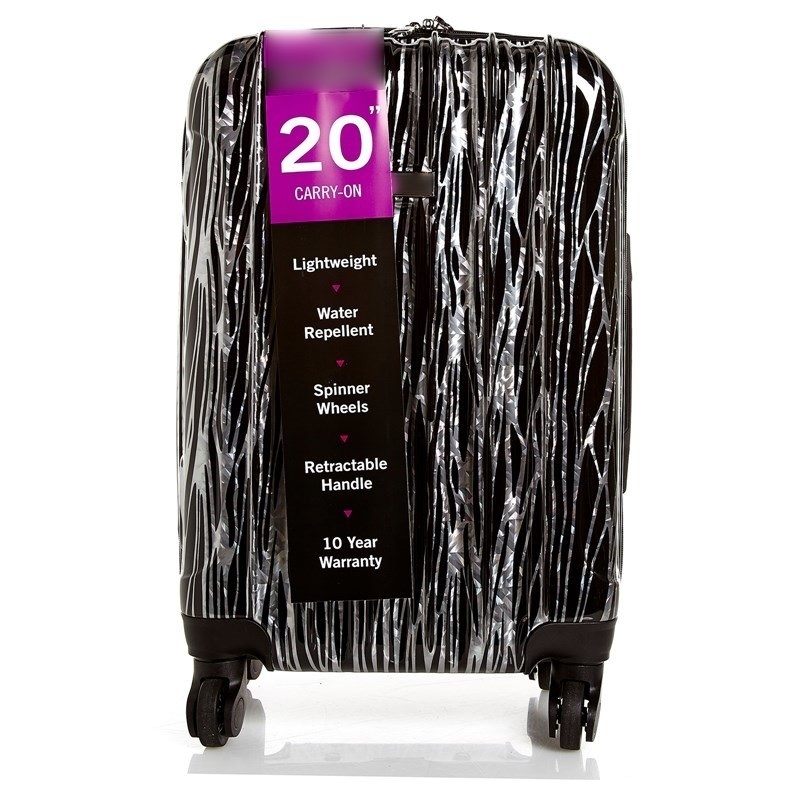 This spinner luggage with a metallic design that glistens in the light. 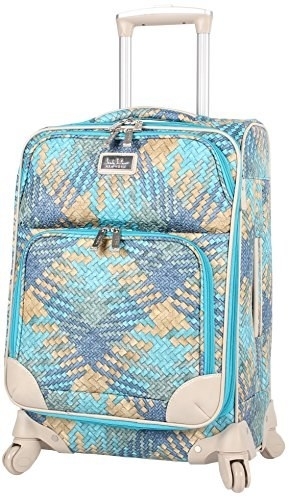 Get it at Burlington for $59.99. 3. 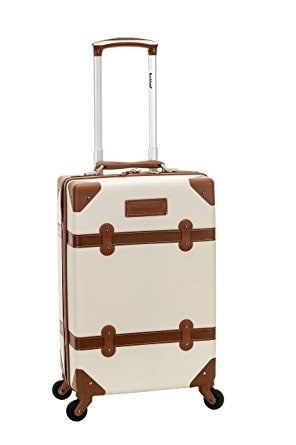 This luggage set that's pretty in pink and under $85 bucks! Get the set on Amazon for $84.94. 4. 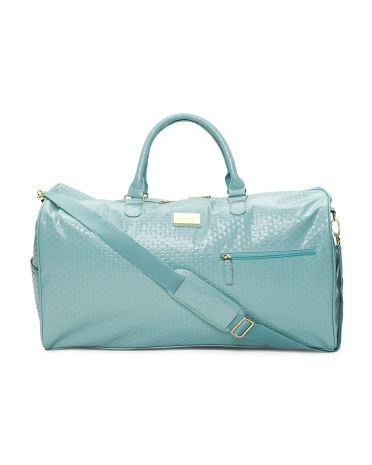 This modern take on a classic stage-coach bag. 5. 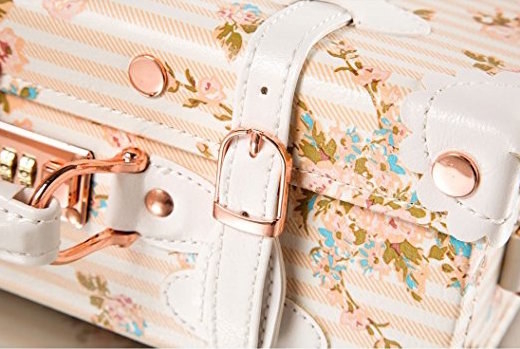 This floral number that has the most charming rose-gold details. 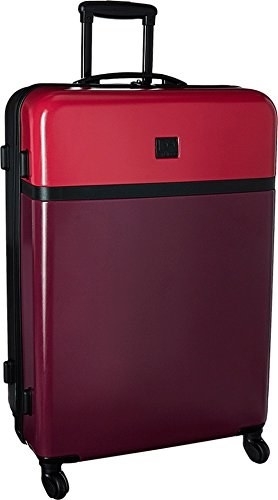 Get it on Amazon for $70.00. 6. This golden masterpiece that you can accept on anyone's behalf. 7. 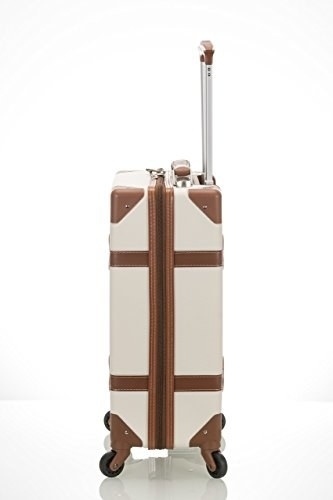 This set because, let's be real, you have a lot of baggage. Get the set on Amazon for $95.43. Also available in gold and red. 8. 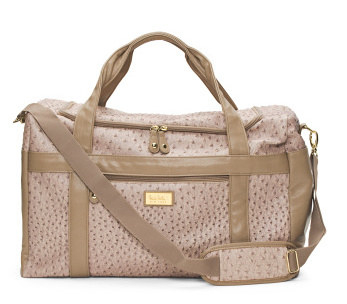 This duffel bag that you can load up for your next weekend adventure. Get it at TJ Maxx for $49.99. 9. This bold set that has the perfect contrasting colors. Get the set for $79.99. 10. 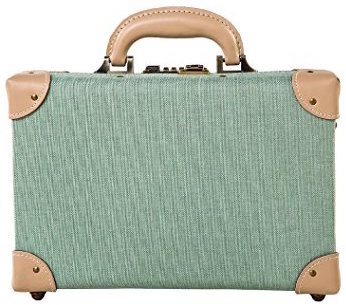 This rolling briefcase that is just too damn pretty for its own good!!! Get it on Amazon for $90.99+. 11. 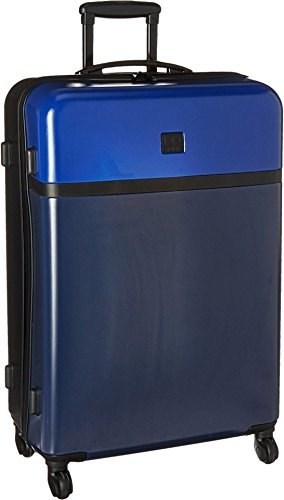 This suitcase that's blue but won't make you sad. Get it on Amazon for $97.99. 12. 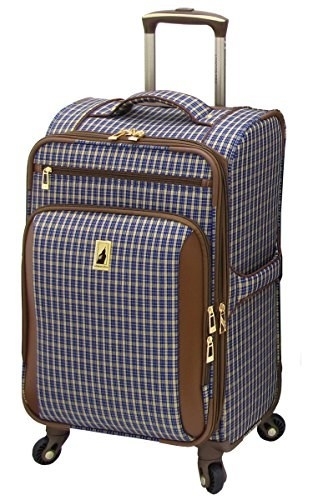 This spinner luggage that's plaid to perfection. Get it on Amazon for $94.99. 13. 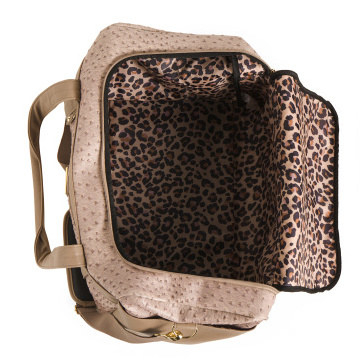 This hardshell piece that has the prettiest print. Also available in a peacock print. 14. 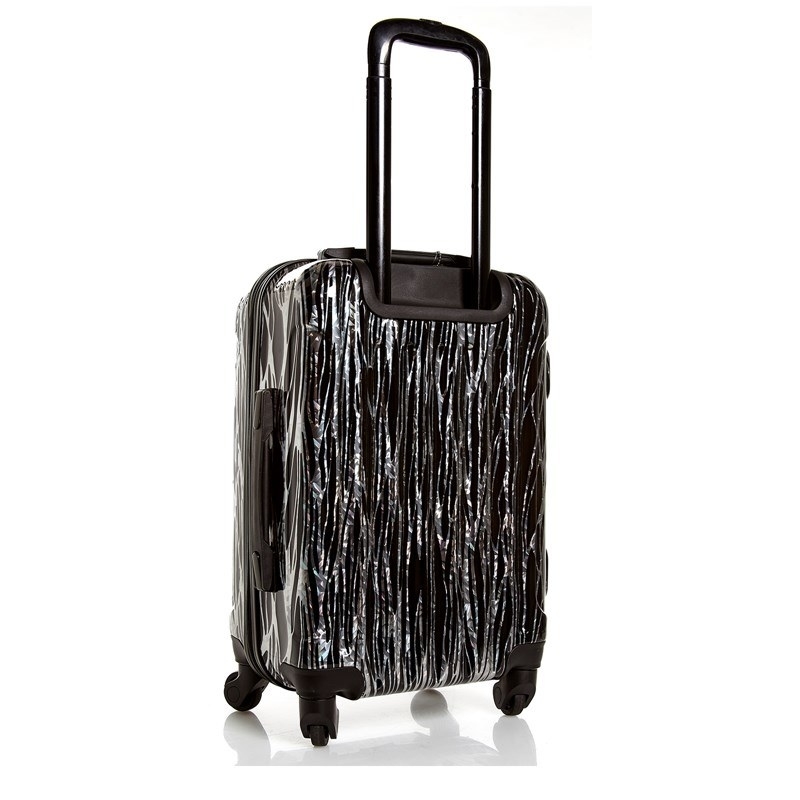 This rolling trunk that's perfect for your next getaway. 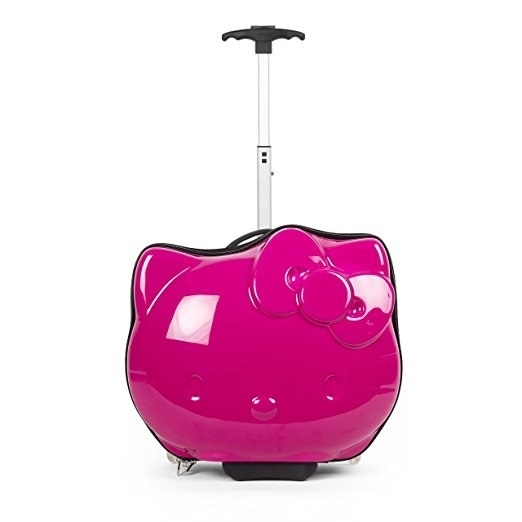 Get it on Amazon for $79.58. 15. 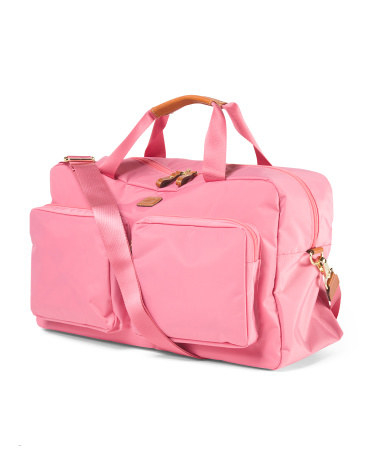 This weekender bag that you can roll or carry. Get it on Amazon for $79.95. 16. 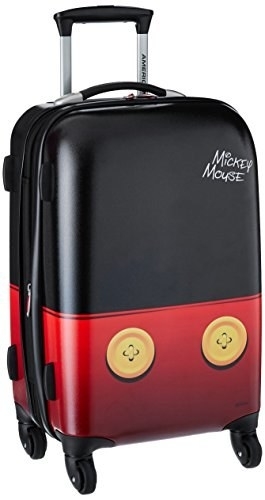 This Mickey Mouse case that you can take with you to the happiest place on earth, wherever that may be. 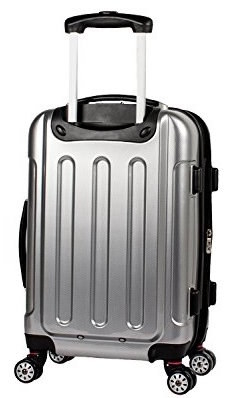 Get it on Amazon for $92.97. 17. 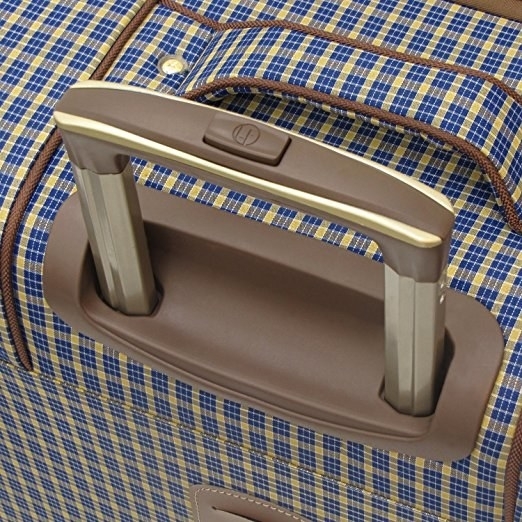 These faux-woven suitcase that're ready to be rolled into paradise. 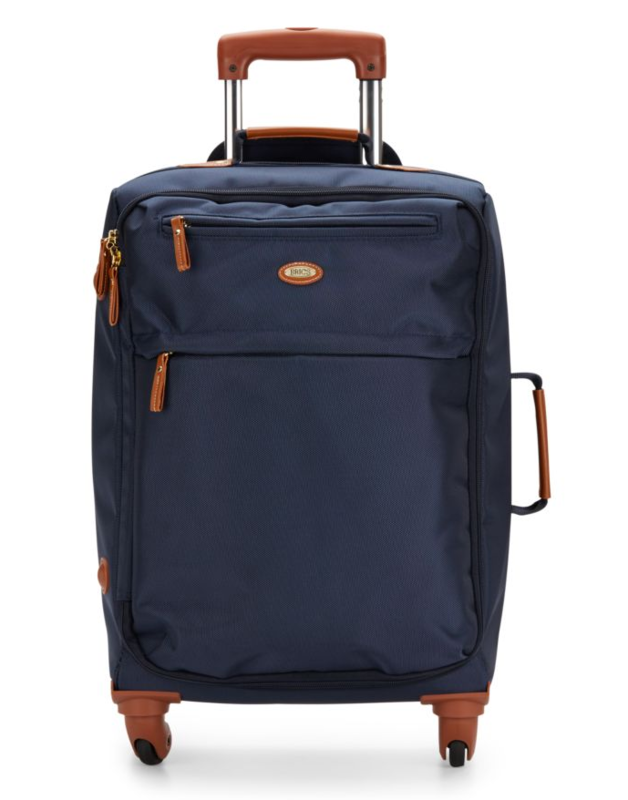 Get the rolling bag for $69.85 and duffel for $44.85. 18. 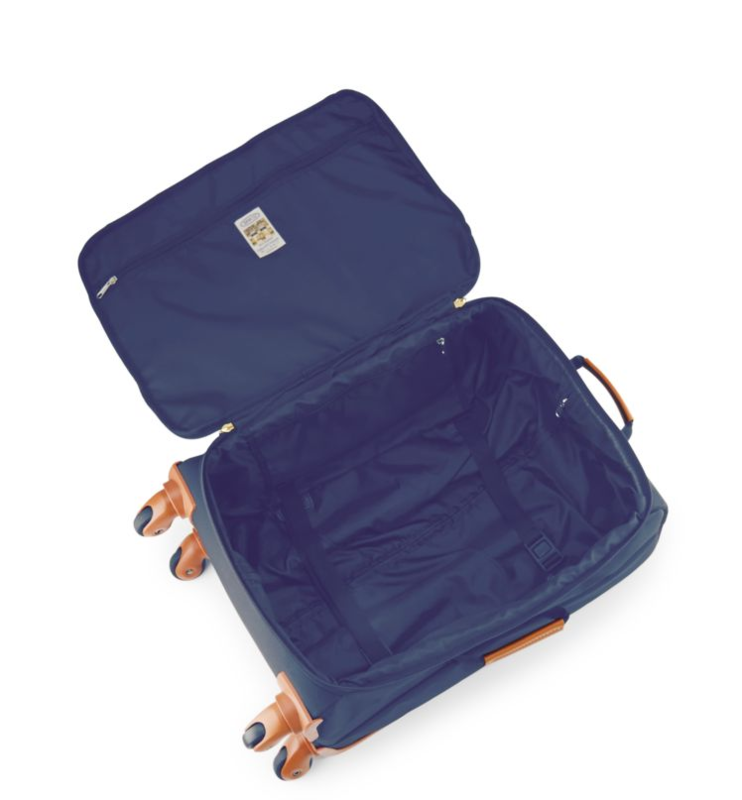 This expandable piece that looks absolutely timeless. Get it at Off 5th for $99.99. 19. 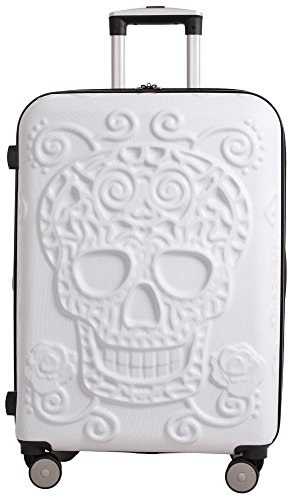 This white suitcase that'll probably get dirty but the design is awesome, so who cares? 20. This metallic roller that is durable AF. 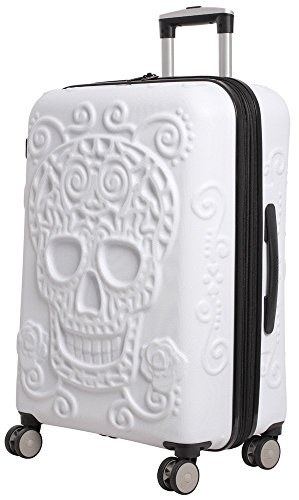 Get it on Amazon for $59.00. 21. 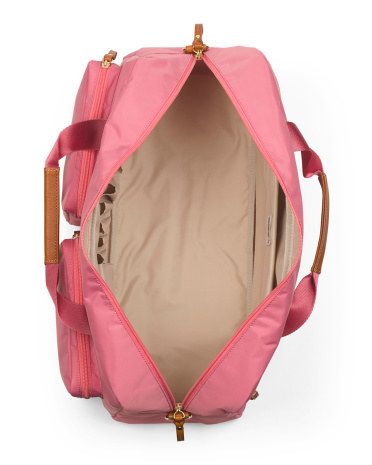 This pink duffel that has a special pocket just for your laptop. 22. 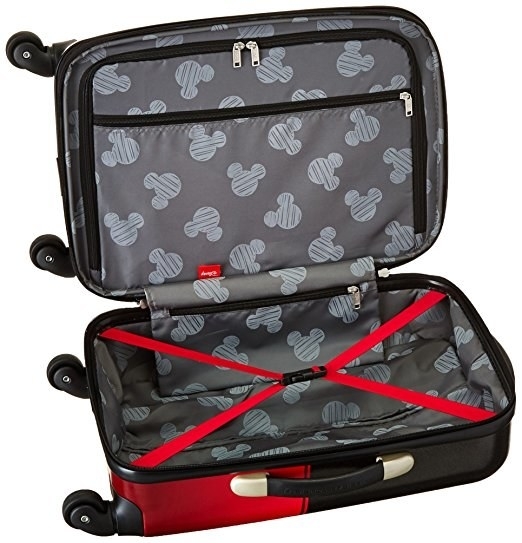 This hardshell piece that is totally scratch resistant. Also available in blue, gold, and red. 23. 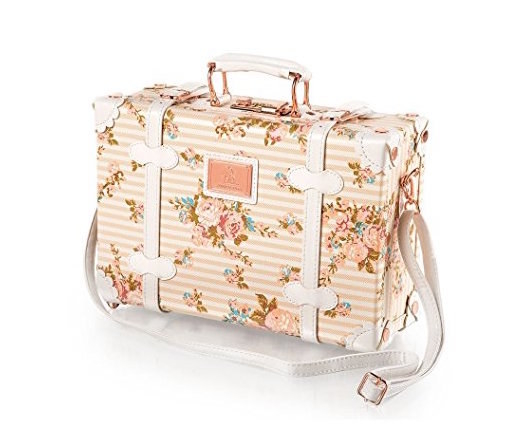 This luggage that's a floral masterpiece. 24. 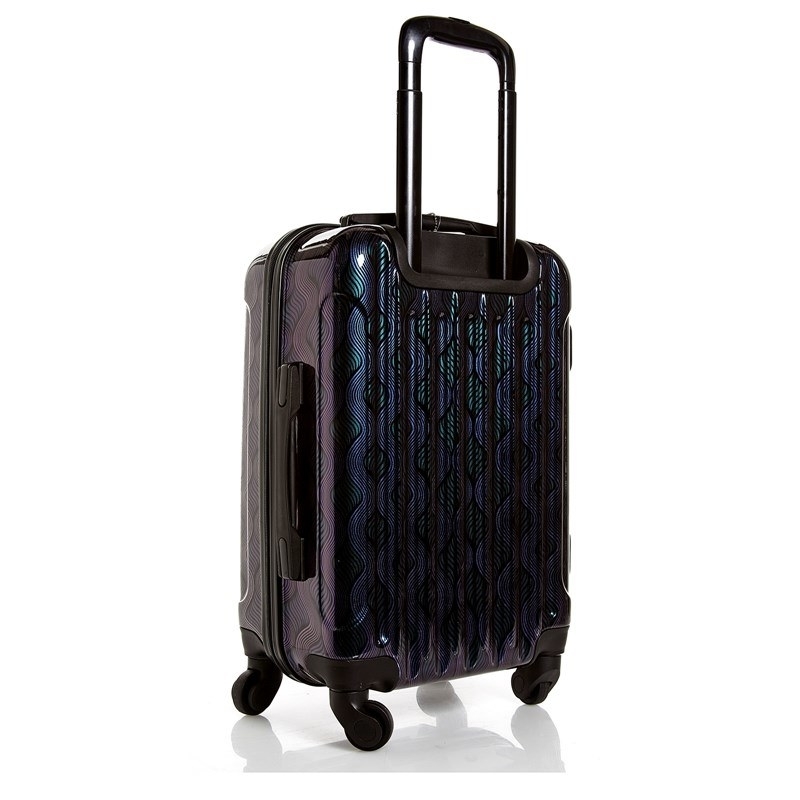 This quilted piece that's elegant and practical for whatever you have planned. 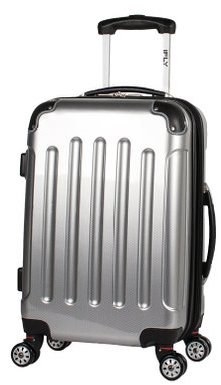 Get it at Burlington for $49.99. 25. 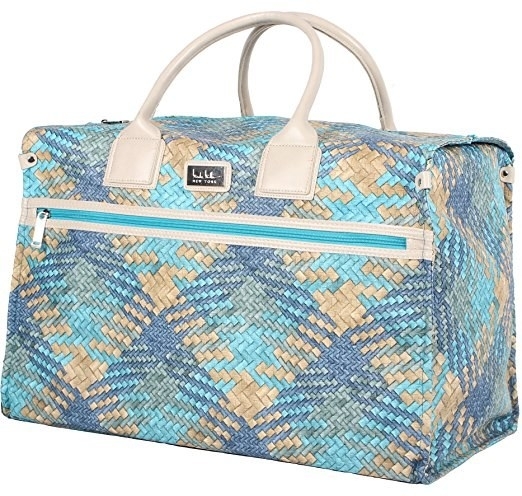 This piece that's perfect for when you want to get lost at sea. 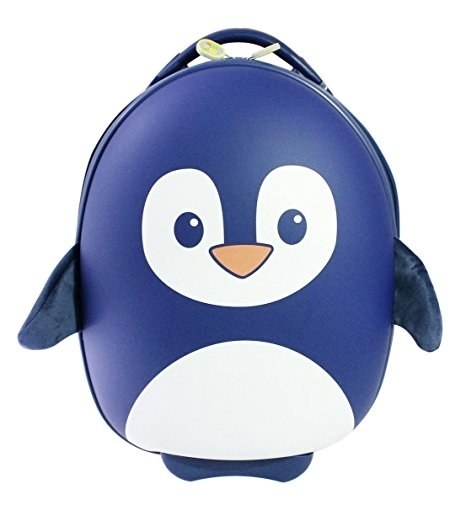 Get it on Amazon for $79.26. 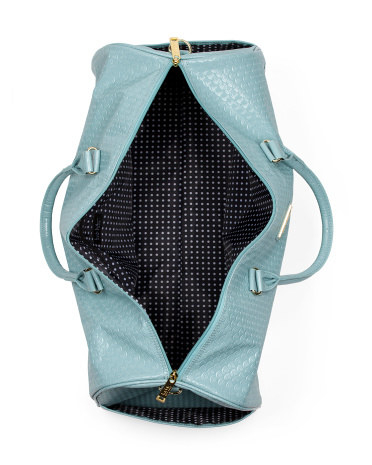 Also available in blue, coral green, and royal blue. 26. 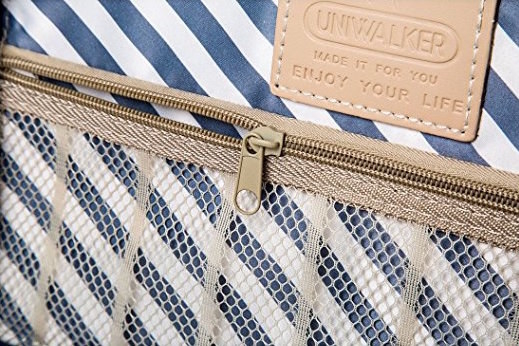 This embossed satchel that we're sure a mermaid would carry during her travels. Also available in pink and gold. 27. 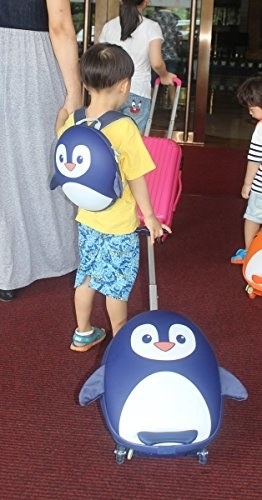 This adorable penguin one that's meant for kids, but we all know you wanna buy it for yourself. Get it on Amazon for $65.99. Also available in a bear. 28. Plus this set that's perfect for the little zoo fanatic in your life. Get the set on Amazon for $42.99. Available in a variety of images. 29. And this spinner that's subtle, but stunning.